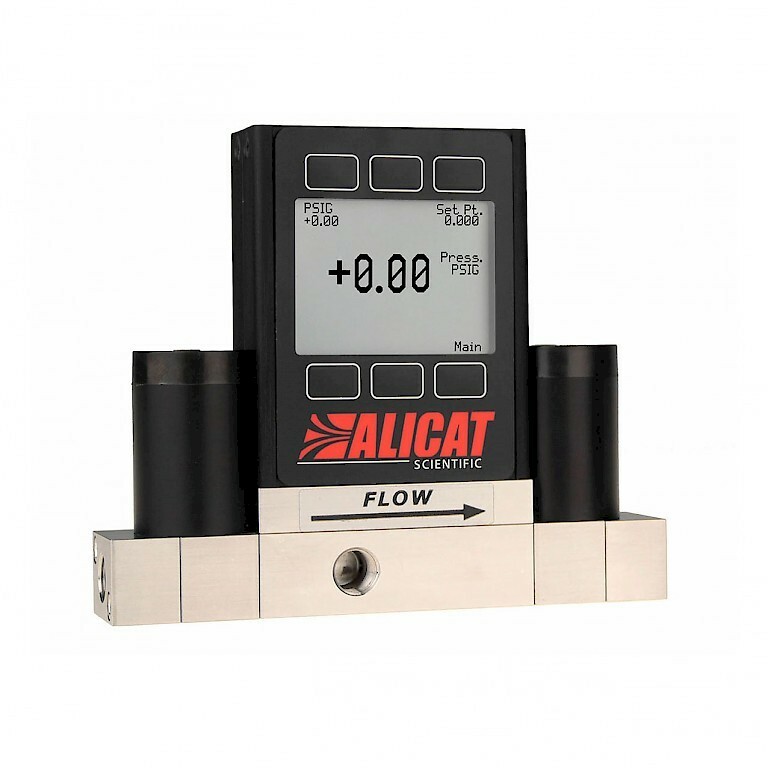 Alicat's PCD-Series dual-valve pressure controller incorporates a second proportional control valve at its outlet to vent excess pressure. The PCD maintains a stable pressure through the central process port to the closed volume under test. This valve opens only when needed, so almost no gas is wasted. Once you have provided these three parameters, our engineers will select the valves that will allow the most efficient filling and evacuation of your process volume while maintaining excellent control stability. We can supply full case studies for these applications – please call us today on 01953 609930 and ask for details. PCD3 / PCRD3 - Incorporates a remote sensor port onto the flow body.